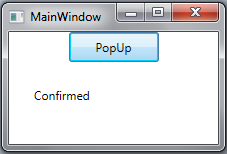 In continuation to my previous blog on PopUps with Interactivity, here we will see how to implement IConfirmation request. In order to make this post short, I'll implement IConfirmation request on top of previous example. If you will see above snippet closely, you will notice that in case of Confirmation, we are handling Status in slight different manner. Next step is to update our View as we did for NotificationRequest. Hope you understood the use of ConfirmationRequest. Just about every application has a need to notify user about an event or ask for confirmation before proceeding onto the next operation. Prior to MVVM, we would have used the MessageBox class in the code-behind. But for MVVM applications, that’s not the appropriate way as it breaks the separation of concerns from the view or viewmodel. 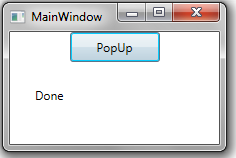 There are lots of ways to show popups in MVVM application. In Prism, we just happen to use triggers. Triggers are used to initiate actions when a specific event is raised. So, it means we have to setup a view to detect the interaction request of event and then present an appropriate visual display for that request. What is required for raising events? Now for raising events, we need an event trigger. But not just any event trigger. 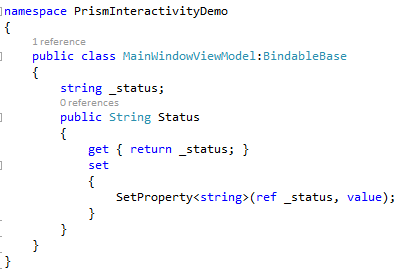 We don’t want to use the built-in event trigger, instead Prism provide its own InteractionRequestTrigger. This trigger binds to the source object or the InteractionRequest object that exist in your viewmodel. It automatically wires up and connects to the appropriate raised event on that request. 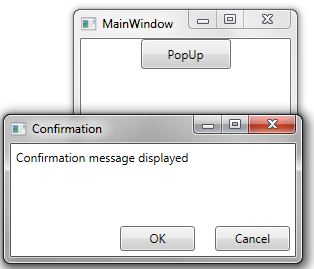 Once that request event is raised, the InteractionRequest should than invoke an action and this action call the PopUpWindowAction and displays a popup window to the user. When it is shown its data context is set to the context parameter of the InteractionRequest. INotification has two contracts on its two properties as Tile and Content. The Tile property, I just talked about is the property it reads from. Next is the Content property, which is going to be our message. 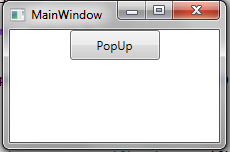 So, if you are not providing your own window content, this message is what’s going to show in the default popup window, that is shown using this request. I like to mention that INotification request is only used when you are trying to notify user about something. Next we have is IConfirmation request, which extends INotification. It adds a new confirmed property which basically signifies, if the request was confirmed or not. We use IConfirmation request for scenarios where we want to use a messagebox for Yes/No type answer. And of course you can always create your custom request. So, if you want to pass custom objects or custom information or INotification - IConfirmation doesn’t solve your problem, you can create your own. Let's create a simple view with a button and a label. 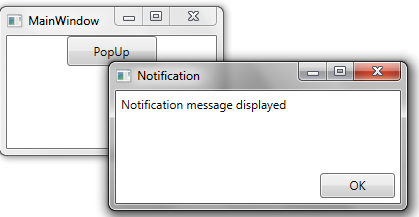 On click of this button, we will see how to show notifications using MVVM and my label will display the status of notification. I have a viewModel which has a single property called Status and this property will be used to display response of my request. In above snippet, you will notice that I also provided callback. This callback will get executed, when user acknowledges the notification and dialog closes. In my case, I am setting my Status property to 'Done' in callback. Now, rest of work is in our view. In order to support notifications, couple of namespaces need to be added in view for Interactivity and Prism. In above snippet, we need to set SourceObject. In our case, SourceObject is the request object, which is set in our viewModel and we call it NotificationRequest. User is notified. So, our callback successfully updated our status property. Hope you enjoyed learning !!! 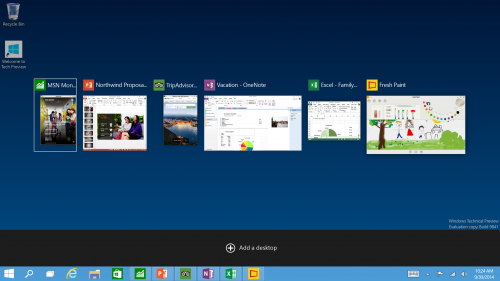 This release contains desktop-focused features, primarily for business customers. Actual consumer preview is plan to launch somewhere around January. 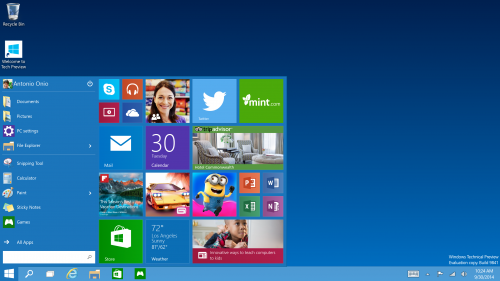 Windows 10 will run across unbelievably broad set of devices from 4 inch screens to 80 inch screens. Some of the devices we can hold in hand and others are 10 feet away. 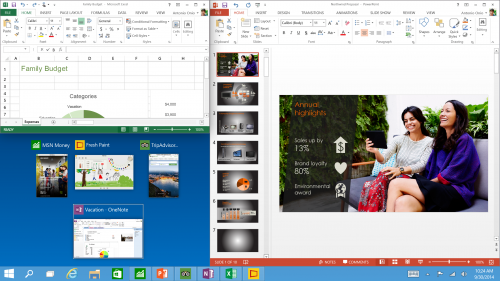 So, are you ready to dive into the new features? Sometimes, trying out such an early build can be risky. So, it is always recommended to read the precautionary notes before proceeding for installation on a primary/business machine.